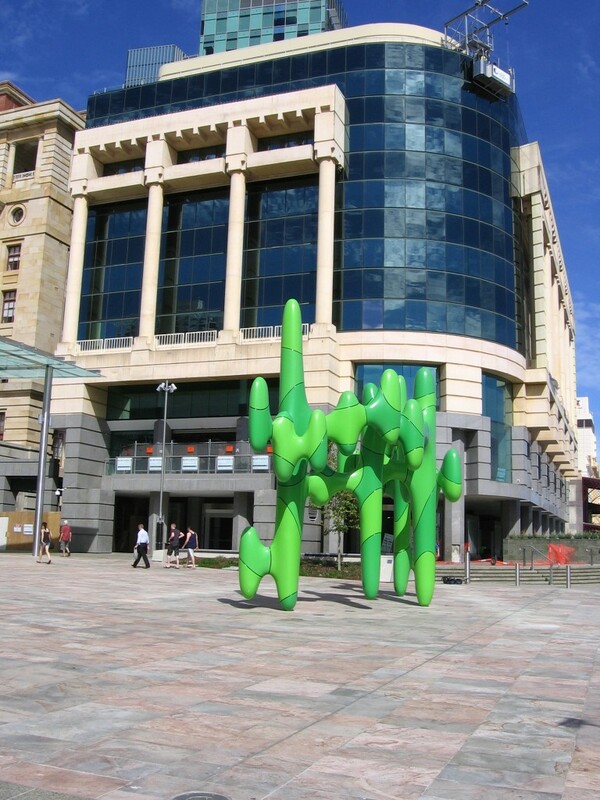 In 2009 the Western Australian State Government (Department of Culture and the Arts) conducted an international sculpture competition to procure a $1million sculpture for inclusion within the upgrade of Forrest Place in the centre of Perth. Well documented at the Situate Sculpture Project website, the competition received over 200 entries, from which five were selected to produce further detailed designs. The final winning entry was an untitled “biomorphic form” by Perth-born sculptor James Angus (leading a team that included engineer Douglas Knox, lighting designer Peter Mclean, industrial designer Sebastian Adams, fabricator Jaime Marina, and project supervisor Tony Oxley). 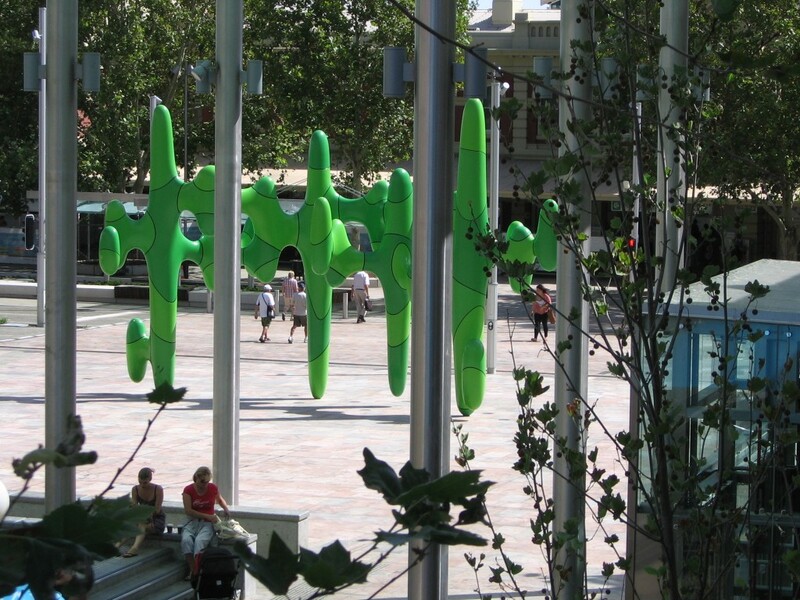 Referred to locally as “the green cactus” (according to some of the news reports below at least), the sculpture was handed over to the City of Perth in September 2011, with the artist belatedly giving it his own title: Grow Your Own. In its 2010-11 Annual report (pdf) the WA Government bills its percent for art scheme as the longest running public art program in Australia. This comes down to definitions I guess… not to detract from the significant achievements of the program and policy, in place since 1989, I suspect the Tasmanian Government Art Site Scheme should get this particular guernsey. 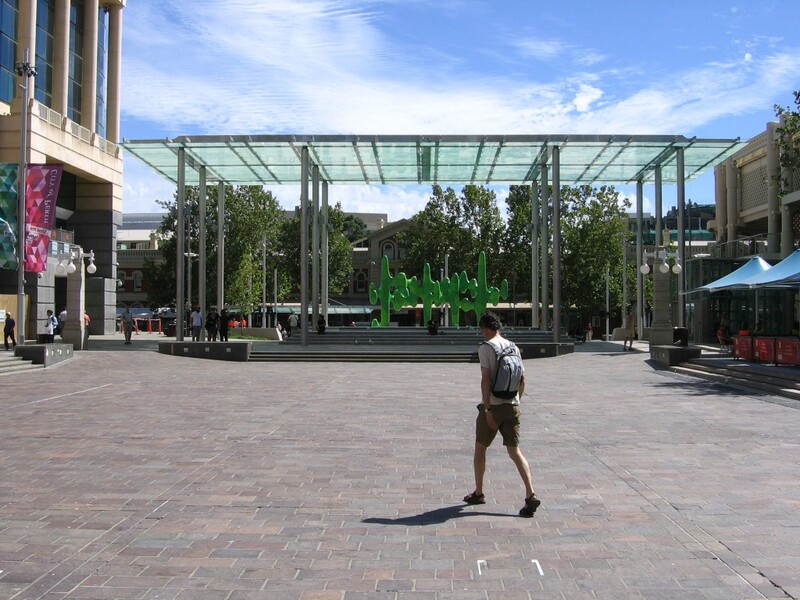 Formerly called the Art for Public Buildings Scheme, and renamed in 2009, the Tasmanian program has been running since 1979. A percentage of the Tasmanian State Government capital works budget is allocated for the acquisition or commissioning of new artworks, with over 1500 artworks acquired over the life of the scheme, and placed in schools, hospitals, community centres and other government buildings. 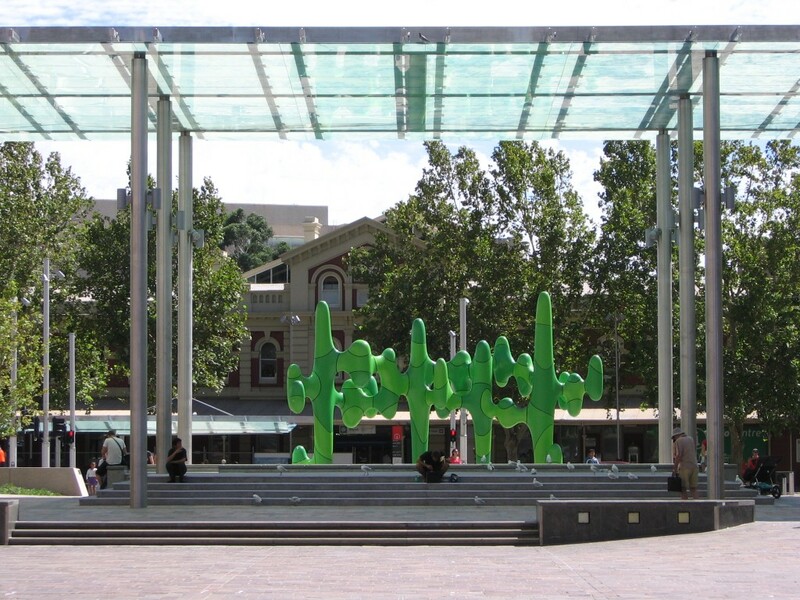 The South Australian government’s public art program also predates the WA scheme (1984/6), albeit without an accompanying public policy, and operating principally as a grants funding and public art advocacy scheme. 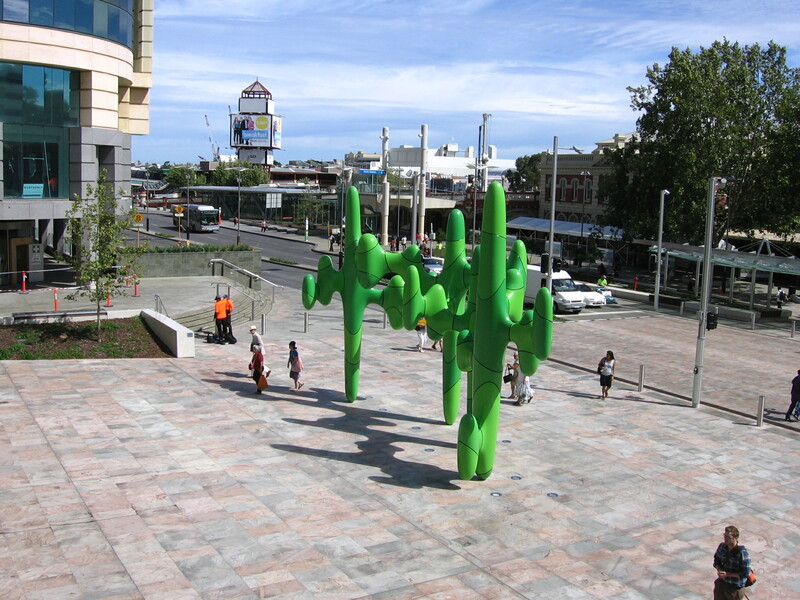 In 2009 Perth City Council published the Public Art Study: Review Report which provided a comprehensive review of the City’s public art activity and gave recommendations towards the development of a formal public art policy and strategy. In particular, the report recommended formalising the City’s percent for art approach to funding its public art program, as well as the initiation of a mandatory Developers Public Art Initiative for projects over $1million. The Developers Public Art Initiative would replace the City’s previous Bonus Plot Ratio Policy (City Planning Scheme No. 2: Policy 4.6.1) which rewarded developers for funding or commissioning public art. 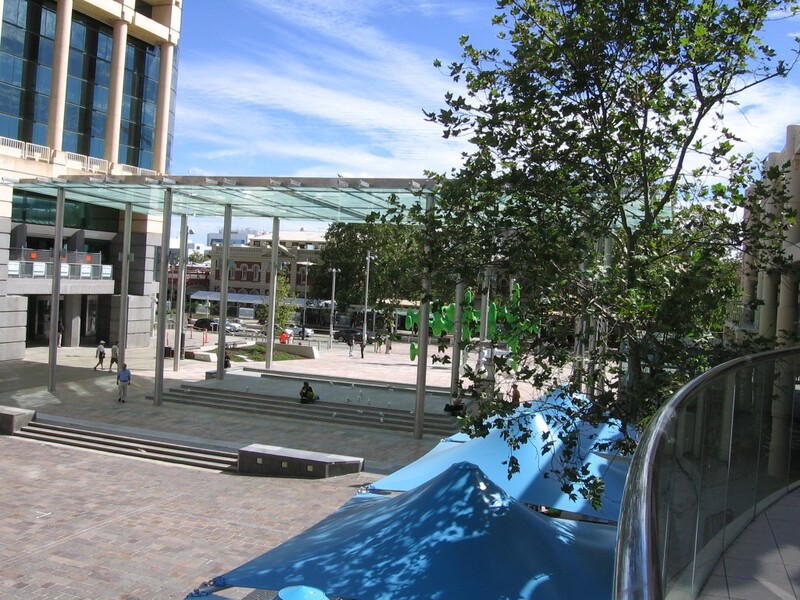 This initiative was informed by the policies for mandatory developer contributions for public art developed by the East Perth Redevelopment Authority (now the Metropolitan Redevelopment Authority). The City is yet to adopt the report’s recommendations, but has nevertheless continued to manage an active public art program, including an annual temporary exhibitions project Transart. In conjunction with the City Laneways Enhancement program (since 2008), public art commissions have also included a series of wall murals (Wall Inc) and a wall-mounted lightbox exhibition space. This entry was posted in Commentary, News and tagged james angus, laneways, murals, percent for art, Perth, temporary public art, Western Australia by publicartresearch. Bookmark the permalink. the artist was commissioned – leave him alone!! !…good on him re the taxi driver story…long live ‘difficult’ art! !